20 years in business. 20 years of success stories. 20 years of insight. Our customers want information on solutions before they invest. 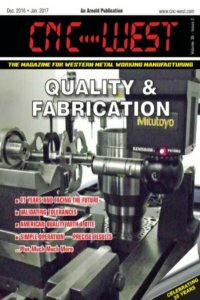 This is why Shop Floor Automations proudly shares our appearances in many manufacturing trade publications throughout the years. 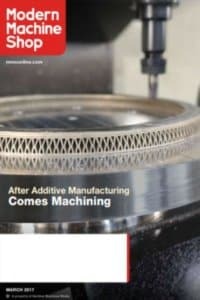 We wish to highlight not only product features but results via manufacturing automation case studies. Check out our most popular stories below, and keep scrolling for more articles! 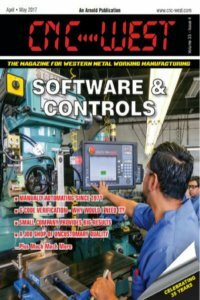 Cloud machine monitoring from DataXchange was discussed in Manufacturing News on page 94 of the West edition. Low cost, the same features as on-premise software and the lack of commitment needed are the top three benefits discussed. We also appeared in the Southeast edition on page 47 for this month. 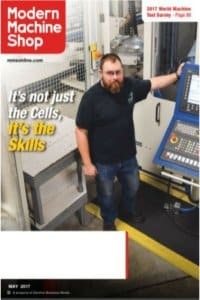 Page 52 of CNC West for the April/May 2019 issue features a full page article on our CNC shop floor hardware. Our hardware acts as a DNC software alternative for smaller shops, as well as acting as a means to replace old media. This old media includes floppy disks, old RS232 cabling and updating RS232 ports. 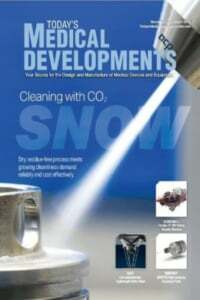 We also had one of our ads appear on page 66 about our solutions. 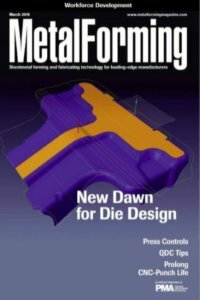 Modern Machine Shop has featured Rise Up Industries in their recent issue. The educational program is local to us here in San Diego County and we are so excited they made the pages of this publication. 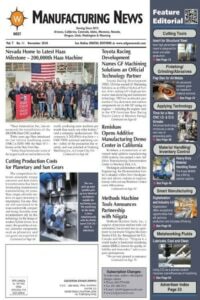 Shop Floor Automations worked closely on this collaboration – you can see the original length article on the MMS blog. 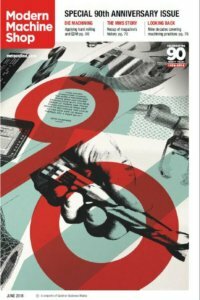 The print piece appears on pages 82 to 85. The same piece featuring updates to Predator MDC that appeared in another publication this month made an appearance in MMS. This can be found on page 136. 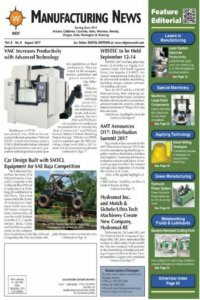 Updates and benefits of Predator MDC have been shared by Manufacturing News on page 90 of the Midwest issue. 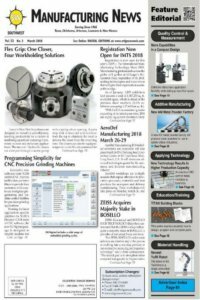 Manufacturing News has shared a machine monitoring product update from Shop Floor Automations on the front page of their February issue! The article focuses on the Operator Data Interface (ODI) from DataXchange. The ODI replaces the previous Data Entry feature for the software. This was a cover story for the West edition and continues on page 68. You can also check out our advertisement about DataXchange from SFA on page 12. 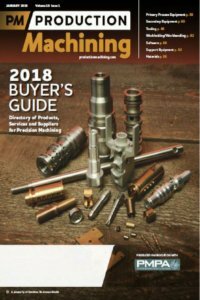 Shop Floor Automations is thrilled to once again be included in the Production Machining Magazine January 2019 Buyers Guide. 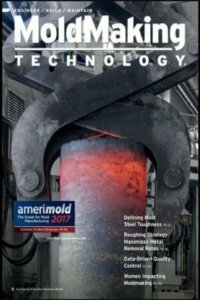 This list is a must for manufacturers. 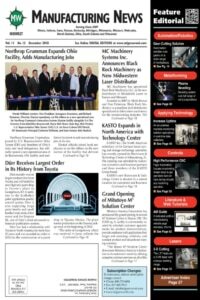 R&D Manco in Arizona was featured in MFG News via a case study using Predator MDC from Shop Floor Automations. 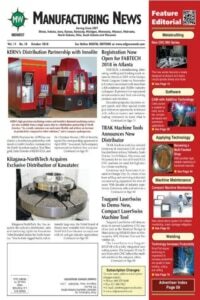 While the company invested in CNC Editor and hardware a few years prior, they discuss the results of also implementing an on-premise machine data collection system. 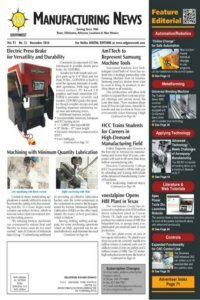 Read more about how MDC helped with month-over-month gains, increased machine capacity and improved shop floor communication. Fredon Corporation in Ohio was featured in a case study from Today’s Medical Developments. The manufacturers use Shop Floor Automations hardware to bridge a technological skills gap. 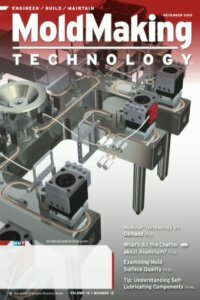 Read how their investments of the Portable USB Connect, the Pendant USB Connect, and the Floppy Connect helped their operations. 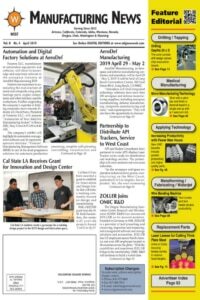 On page 61 of the West edition of MFG News, methods to display the value of manufacturing automation are laid out in this article. Benefit 1 – This system can integrate with other software to help optimize machine capacity. Benefit 2 – Machine monitoring is not just for CNC machines. Benefit 3 – Machine monitoring helps operators working at machines convey important information to those not working on the shop floor. 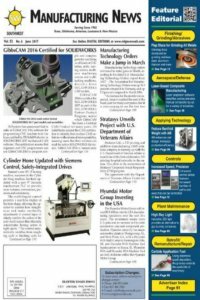 Shop Floor Automations has been a Scytec DataXchange reseller for many years. 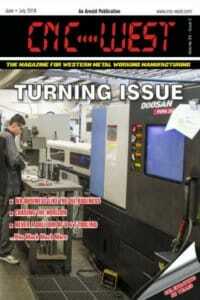 The software helps manufacturers with real-time machine monitoring. 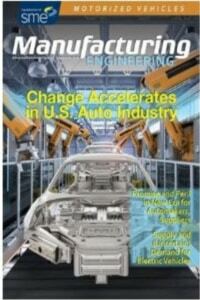 Page 22 of Manufacturing Engineering features an ad on SFA’s services with DataXchange. Be sure to also ask us about starting up a trial and how you can go up against manufacturing downtime for as little as $50 per month! 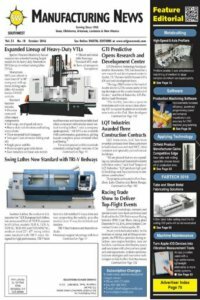 In this issue, we placed an advertisement on page 22 of Manufacturing Engineering that highlights some basic manufacturing productivity monitoring benefits. 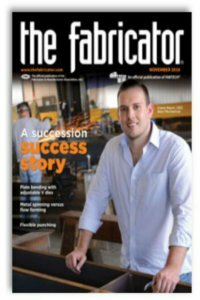 We were also pleased the publication featured an interview with our resident hardware expert Guy Barrow, where he focuses on shop floor upgrades, pages 62 through 63. 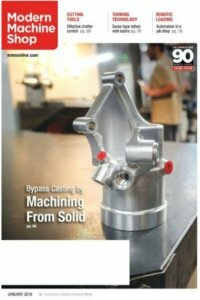 Thanks to Modern Machine Shop for having us in their 90th-anniversary issue the same year as our 20th anniversary! 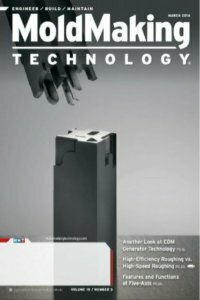 We were graciously given a full-page spread on our LAN-USB Hardware device, which adds Ethernet and USB to CNC machines. Our new hardware device, the LAN-USB Connect, combines adding Ethernet to machines, as well as CNC to USB functionality. 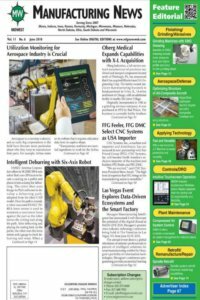 The publication MFG News also highlighted our evaluation of why machine monitoring for aerospace manufacturers is crucial on the front page! Aerospace parts manufacturers are given the best reasons why monitoring their utilization will help with productivity. 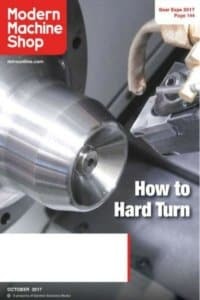 SFA also appears in an advertisement in this issue for our overall line of manufacturing productivity solutions. Shop Floor Automations is proud to have serviced the manufacturing industry for two decades and counting. 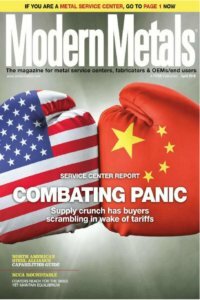 Thank you to Modern Metals Magazine for publishing a press release about our 20th anniversary! 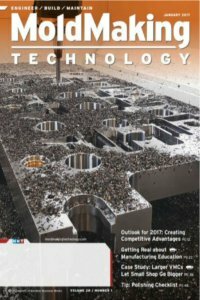 Making medical parts is a high volume industry. Machine monitoring overall equipment efficiency (OEE) is broken down into four parts: utilization rate evaluation, tracking more than downtime, what machines are eligible for the software, and how to use machine monitoring as a step towards lights-out manufacturing. 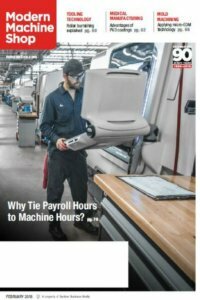 “DataXchange machine monitoring system reduces downtime by providing live notifications of machine issues via text or email…dashboards enable manufacturers to communicate with employees about productivity…key performance indicators (KPIs) and overall equipment effectiveness data.” Also, see our advertisement on page 120. 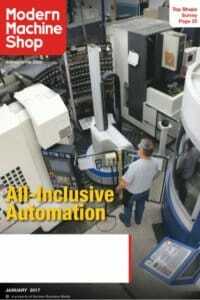 Find Shop Floor Automations in the 2018 buyer’s guide under Software>CAD/CAM, Software>ERP & Other Shop Management. We are also located under Software>Data Collection Devices, as well as the general directory. 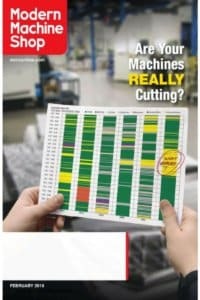 The annual guide helps shop floor decision makers choose from a variety of productivity solutions. 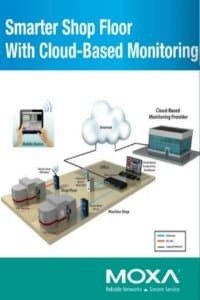 Reasons to invest in machine monitoring is discussed in an advertisement. 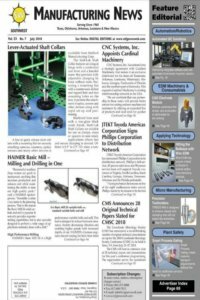 SFA is here as a resource for manufacturers for solutions such as CNC networking, OEE monitoring, floppy drive emulators, wireless CNC transfers, and more. 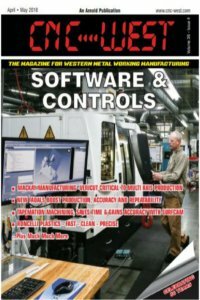 The WiFi USB product from Shop Floor Automations is highlighted in this issue of MFG News. 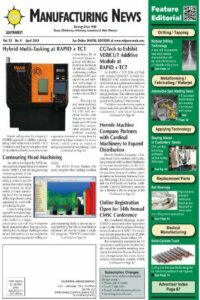 If you wish you could transmit data from an old machine in your shop wirelessly but thought it was going to cost a great amount of money, get ready to be surprised. 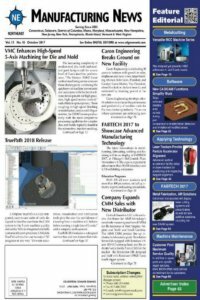 On page 109 in Modern Machine Shop for this issue, we ran an advertisement wishing to inform customers about the flexibility of machine monitoring software. The ad displays different ways that the software can be accessed, as well as being supported by the MTConnect protocol and machines of any make/age/model. Do a case study with Shop Floor Automations! All it takes is a 15-minute phone call & submitting photos. Your company gets final approval of the piece. Ask us for more info and schedule a session today!